Take the first step in planning your dream home by scheduling a free consultation with one of our experienced DIY Custom Homes sales professionals. Whether you already own land, or would like to learn more about impressive Baytown lots ready for development, consult with our qualified staff to discuss your ideas for the type of house you have only imagined, until now. DIY Custom Homes maintains close communication with clients throughout the building process and provides regular updates to ensure your complete satisfaction right down to the last detail. From the moment ground is broken to begin building your Baytown home, straight through to the final walk-through and inspection, our goal is to meet and exceed your expectations. 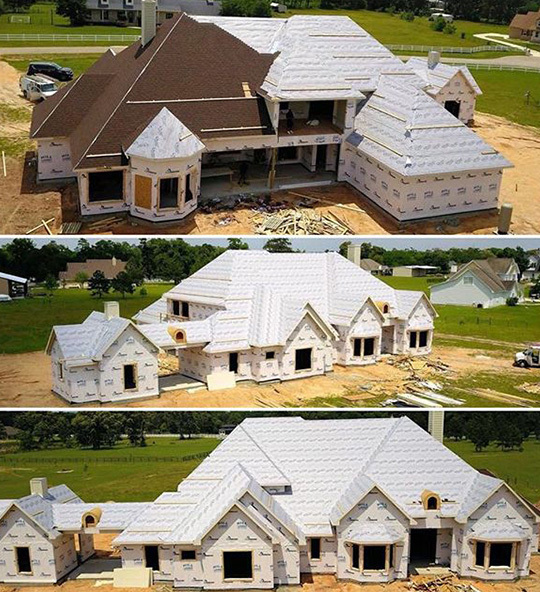 Once the specifications are complete, DIY Custom Homes provides you with a 'Soft Bid Budget" to start your planning phase. Then we have what's called the "Planning Phase". the Planning Phase is we send out for bids to get "Hard Numbers" to create a final Project Total Budget. Once we have a final number we can building your custom home in Baytown. All house plans are fully reviewed and engineered before construction begins. When building a custom home, there are always cosmetic changes. We have no problem making those changes do they wont need to be engineered. But once you start making structural changes then they will need to be re-engineered again, to be on the safe side of building. Safety First! When building your dream home with DIY Custom Homes, you will not get hit with "Add-On's" or "Change Orders". We are Cost Plus, which means you can put any grade materials in your home and you will only pay one fee. That one fee is a "Percentage" of the TOTAL cost to build.